Should you buy a home in 2015? 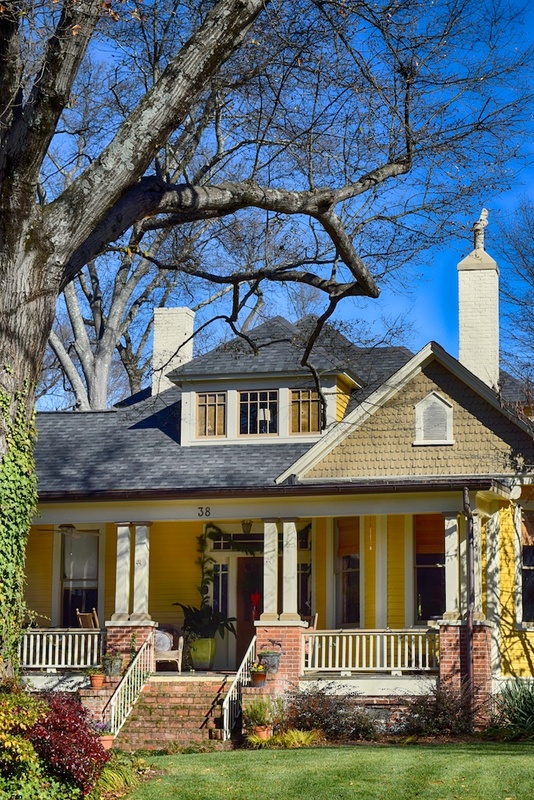 There’s been a lot of buzz recently about 2015 being a great time to buy a home. If you’ve been dreaming about home ownership but have held off for financial reasons, this year may be the year it makes financial sense–mortgage rates are still fairly low (but not for long!) and home values are going up. Before we start talking about mortgage rates and housing prices, let’s explore a more basic–and more important–question. Why do you want to own a home in the first place? Are you wanting something that will give you more space? Are you looking to get out from under your landlord and have more personal freedom? Are you ready for more stability (rather than moving from rental to rental)? Are you seeking an area that will be safer for your children and gives them access to good schools? If your real reasons for owning a home go deeper than just the money question, that’s a good indication that it’s worth the investment. Will owning be a better financial decision than renting? Purchasing a home is a major long-term investment, of course. But you can also consider it in terms of month-to-month cost. Rent rates have been rising for some time and continue to do so, and may cost more than a mortgage payment. Even if straight numbers weren’t in play, a mortgage payment is a better investment than a rent payment. As you pay off your mortgage, that money goes into the value of your home, which is an asset that you get to keep and that boosts your net worth. Rent, on the other hand, does keep a roof over your head, but once that money is gone, it does nothing else for you. Will my home appreciate or depreciate over time? After the housing bubble burst in 2008, many people found themselves with “underwater” mortgages–meaning they owed more on the house than it was actually worth. Understandably, many are still nervous about investing in real estate. However, things have changed significantly since 2008, and home values are set to appreciate. According to the Home Price Expectation Survey, which polls more than 100 economic and real estate experts,home values are set to appreciate by 4% in 2015, and will rise between 15% and 23.5% by 2019. How will rising mortgage rates affect me? The period of historically low mortgages is slowly drawing to a close. Currently rates are hovering at about 4%. Experts predict that mortgage rates may rise as high as 5% by the end of the year. 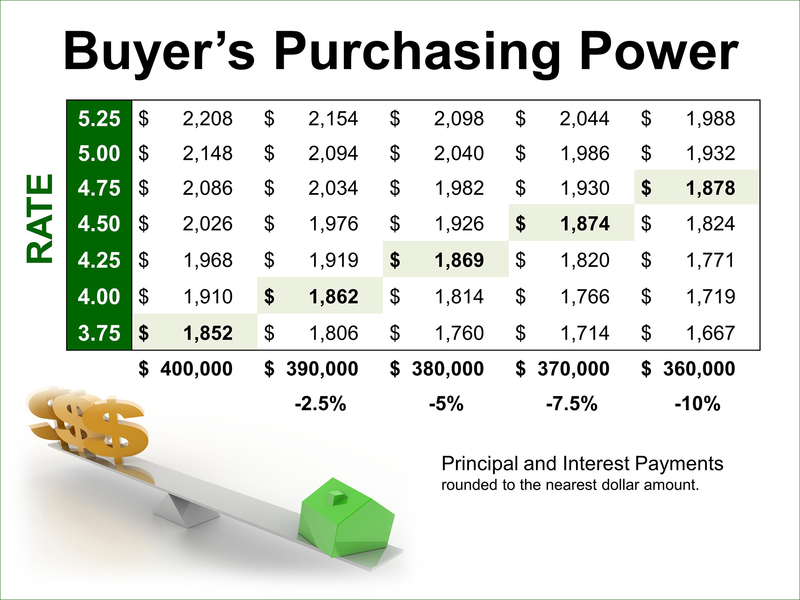 While that’s not a terrible rate, that one percent can make a significant difference in the amount of home you can afford with the same monthly payment (see chart). Mortgage rates alone aren’t the only reason to go into home ownership, of course (see point #1). But if you’re ready to make the jump, it’s probably in your best interest to move within the next few months than waiting until the second half of 2015. If you have questions or are ready to get the ball rolling, contact someone at The Haro Group. We’ll be glad to give you the information you need to make your decision, and we’ll walk with you through every step of the process.